With the market for cloud computing maturing, the value proposition of cloud adoption is shifting, according to a new report. "The benefits are starting to flatten out," says Abbie Lundberg, contributing editor at HBR. But that's because CIOs and their peers are no longer debating the benefits of cloud as they once did. With 'everyone' now leveraging cloud, you have to use cloud in imaginative ways to get a leg up on the competition. But as one respondent told HBR, cloud computing may no longer give you the competitive advantage it once did, but not using cloud can put you at a significant disadvantage. "Cloud has become much more of an accepted part of enterprise IT operations," Lundberg says. "In the early days, cloud adoption really grew out of two things. The first was IT leaders who were really tech savvy and looking for alternative ways of doing things. The second was line of business leaders saying 'we can just go out and buy our own capabilities.' Today there's really been a coming together and what the data in this report really showed is maturing and professionalizing of the use of the cloud." 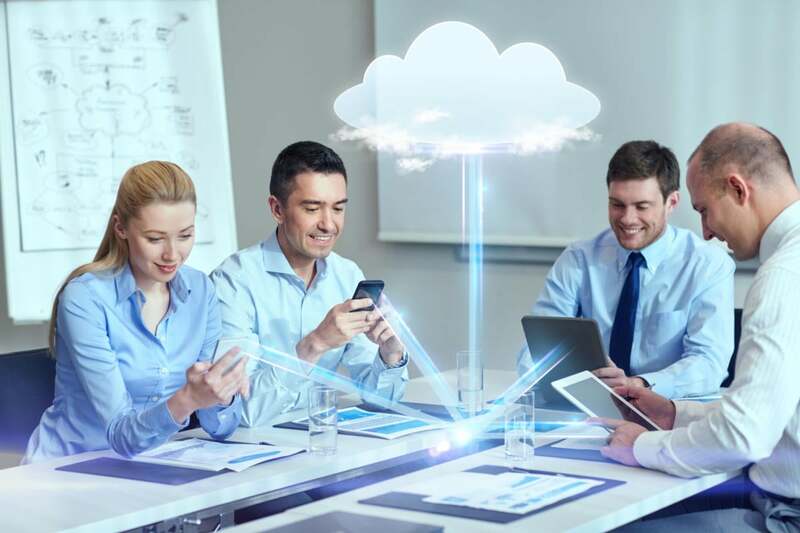 Sponsored by Verizon Enterprise Solutions, HBR's Cloud: Driving a Faster, More Connected Business report was based on surveys with 452 business and IT executives around the world. Lundberg notes that 84 percent of survey respondents report their use of cloud has increased in the past year, with 39 percent saying that cloud use increased significantly. That perhaps comes as no surprise, as cloud use has been increasingly steadily — a similar study by HBR (also sponsored by Verizon) released in 2014 found that 70 percent of organizations were using the cloud and 72 percent expected to put more than half of their workloads in the cloud by 2017. But one area that is changing is the perceived primary benefit of using the cloud. In early years, cost savings were highly touted. More recently business agility was the top-cited primary driver of cloud adoption (so said 41 percent of respondents to last year's survey). This year, however, fully 72 percent of respondents said collaboration was a top benefit (with 71 percent still citing agility). "Business agility has been the number one driver for so long, but this time collaboration was just as high in terms of a benefit coming out of the use of cloud," Lundberg says. "That includes internal collaboration and collaboration with business partners and other stakeholders." One survey respondent told HBR that cloud allows business operations to more quickly share information and work cooperatively, while another noted that cloud has given the marketing department the ability to work more closely with engineering, sales and the service department. The early years of cloud may have spurred a certain amount of antagonism between the lines of business and the central IT function as business leaders went around IT to purchase IT capabilities directly. But if that was the case, it doesn't seem to be any longer. Lundberg says HBR's findings show that the business and the IT department are now working as partners when it comes to cloud: 43 percent of survey respondents said IT is responsible for buying cloud, while 39 percent both IT and business units are involved. Only 16 percent of respondents said business units buy cloud without input from IT.